In the cool Oporto night of the 15th of March, the fires of an unholy communion were lit at Hard Club, as another extravaganza of amazing metal bands – SepticFlesh, Krisiun, Diabolical and Xaon – stormed the stage for the delight of their Lusitanian crowd. The first act was Xaon, a melodic death metal band from Switzerland. They had to go against the difficulty posed by the hour which they had to play, as the Portuguese don’t agree well with live shows at 7:30h in the evening. Despite that fact, Xaon were fortunate enough to have a little less than half of the room ready for their symphonic brutality. The present audience were eager to catch a few songs from their new album “Solipsis”, to be released in the 12th of April via Mighty Music. The somewhat dispersed crowd soon surrendered to their sheer musicianship as they witness a fantastic show, with an energetic stage presence and brilliant execution. Surely this will be a sign for greater days of glory for Xaon in Portugal. Diabolical followed, and there was much curiosity amongst the audience members concerning this visually iconic band. Despite only recently stepping into the spotlight, they are far from being novices, with a career spanning for about two decades. However, and arguably, they recently released their magnum opus, titled “We Are Diabolical”, which was the major highlight of their setlist. Their mixture of doom, sludge and black metal – spiced with their attire straight out of a black mass – completely changed the ambience of the room compared to what was felt in the previous show. Amidst a metric ton of headbanging by both band and crowd, the show sounded good, with sound quality matching the heaviness of the guitars that carry a lot of Diabolical’s soundscape. Shortly after, the room was completely full – and with good reason. The brazilian death metal titans Krisiun were about to bring to the stage with their furious and unholy mix of thrash and death metal. Addressing the crowd in Portuguese, Alex Camargo and company brought their usual energy over the seas. They unloaded the clip with a flurry of songs such as “Ravager”, “Combustion Inferno” and “Enthroned”, mixing the classics with the new tracks, much for the copious enjoyment of old and new fans alike. Finally, the most expected band of the evening took the stage. All the way from Greece, SepticFlesh came in full gear, equipped for battle and bursting with a will to shake the core of their massive portuguese fanbase. 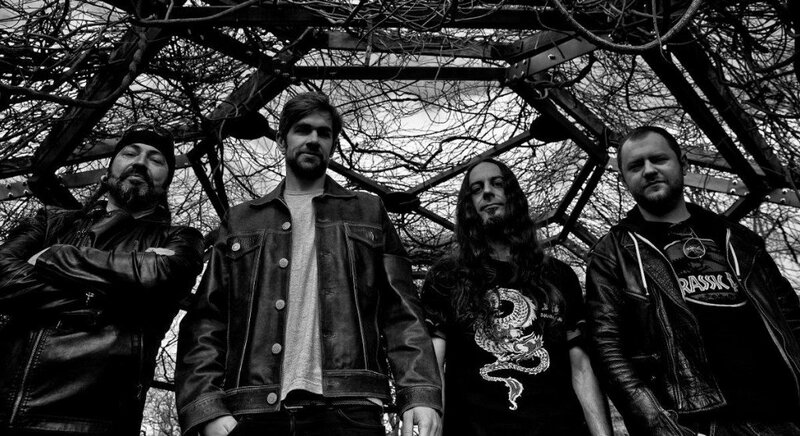 Stakes were high after their 2018 show at Laurus Nobilis Fest, one of the biggest metal festivals in northern Portugal. However, SepticFlesh failed to disappoint, as lead singer Spiros “Seth” Antoniou constantly and consistently riled up the crowd. They chanted both his lyric and the melodic lines of iconic songs as “Communion”, “Persepolis”, “The Vampire of Nazareth” and “Anubis”, as well as a myriad of songs from their modern classic “Codex Omega (2017), such as the incredibly successful single “Portrait Of A Headless Man”. With shows like this, SepticFlesh can afford to come back every single year and will easily sell out clubs and festivals. A truly brutal and well-deserving ending to a very eclectic evening.